EPDM Rubber Roofing membrane will shrink due to ultraviolet exposure. This, in turn, will put stress on the adhesives that bond the seams and eventually separate the material. Watch this video I took with my iPhone about an EPDM roof. You will see what I mean about a good looking material, EPDM, but bad performance. So many times I am called to solve a leak that other roofers couldn’t seem to find. Even the contractor that installed the roof could not fix it. EPDM rubber is very attractive. They are very smooth and easy to keep clean. I will not recommend this type of material on a commercial roof. When it comes to durability and roof repairs, then EPDM roofs are hard to fix. I recommend Modified Bitumen Membranes for any commercial or residential application. 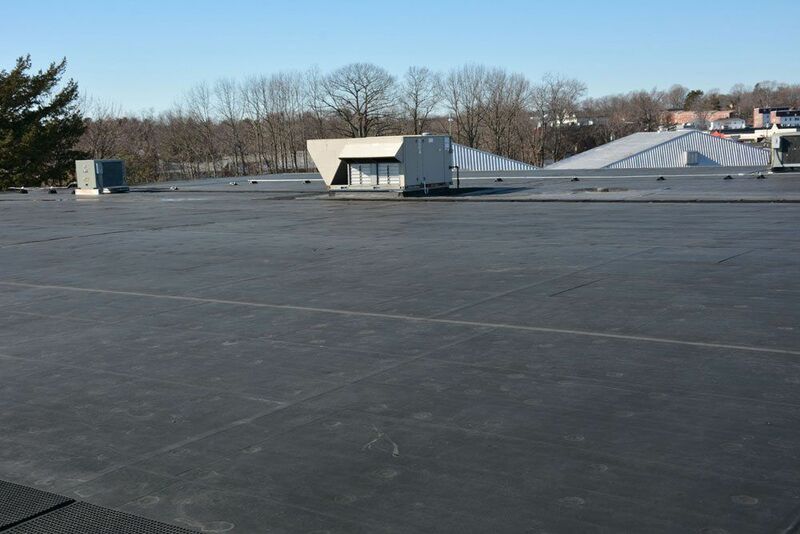 When it comes to commercial roofs, then EPDM rubber is not the way to go. It is a good rubber, but not something that would last as long as a Modified Bitumen rubber. 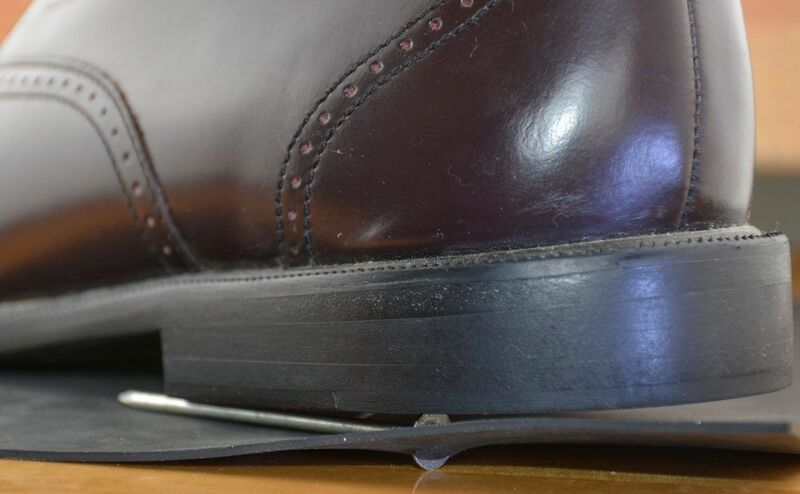 EPDM rubbers cannot handle foot traffic very well. When service people have to work on air conditioners, they bring up equipment. Often we would find screws around the AC units. 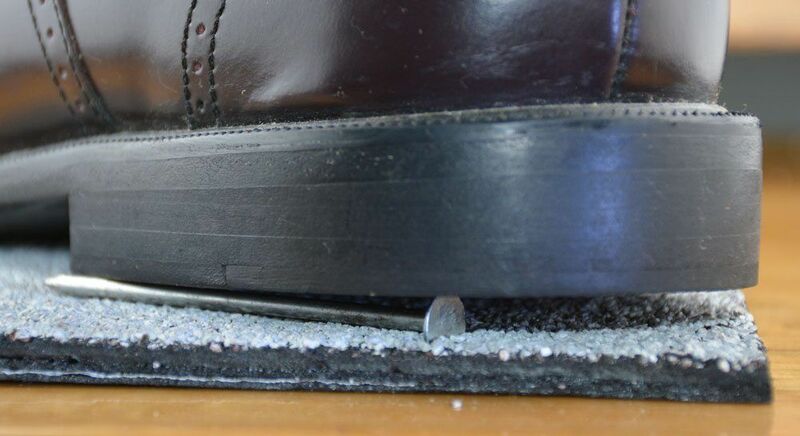 When a person steps on any screw it will puncture the rubber. Notice the thickness of the EPDM Rubber membrane versus the Modified Bitumen Rubber Membrane. This is to show that it can be easily punctured. Over the 25 years, our experience is that EPDM rubber is acceptable for a house if not much traffic is expected. Anytime someone walks on the roof to clean the gutters or do chimney maintenance; there is a chance that they could perish the roof. For some reason we always find nails, screws lying around on these rubber roofs, and if stepped on it will perish the roof. The thickness of the EPDM Rubber and the Torch Down Rubber membrane measured. The Torch Down Rubber membrane is a much tougher membrane and will outlast any other roofing membrane. When you find a tear or a seam separating on an EPDM roof, then do not panic. The good news is you found it which sometimes could be hard. A tear is repairable with caulking. Do not use any TAR products or silicon. Go to a roofing supply company and buy the proper caulking or sealant. EPDM rubber roofs are suitable for residential buildings but not for commercial buildings. This image shows why a Torch Down membrane will not be pierced by nails lying on a roof.